A cooling in Vancouver’s real estate market that includes falling house prices might not be all bad news for the economy, a CIBC report says. 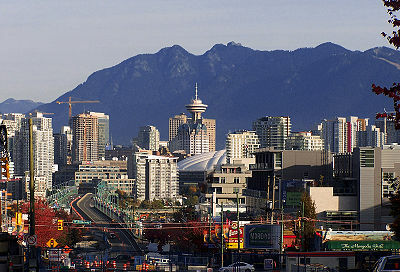 Housing affordability issues have been a drag on B.C. growth, CIBC chief economist Avery Shenfeld says in the report. He says if prices in Vancouver fall further than prices in the rest of the country, there would be a longer-term benefit, including that it would make it easier for companies to find employees because people would be more willing to move here. “Having your house prices so much higher than houses in the rest of the country makes it difficult for people to make the decision to move there,” Shenfeld says. Further, he says lower prices could free up money for other spending. “What of the young newlyweds scraping by on mac-and-cheese in order to save for their first home? A slip in prices could ease that task, freeing up spending power in the process,” Shenfeld writes. First-time home buyers would not have to save as aggressively for a down payment if prices in Vancouver were lower, Shenfeld says. “It hasn’t happened much yet because house prices have not come down much yet, but if house prices do come down, that will make the down payment easier to save for,” he says. In October, the dollar volume of homes sold in B.C. dropped 14.6 per cent from a year ago, the number of sales dropped 10 per cent and the average price — $508,292 — was down 5.1 per cent, the B.C. Real Estate Association reported earlier this month. He also writes that the slowing market could “chop nearly a percentage point from growth,” because there will be fewer houses built and fewer sales of furniture and appliances as a result. This report is the latest in a series of CIBC reports that play down some of the concerns about the potential for a devastating U.S.-style crash in residential real estate. More pessimistic analysts have warned some types of Canadian real-estate in some markets are overpriced and at risk of tipping into a rapid decline. While deflation in housing prices has widely been cited as the cause of the economic woes in jurisdictions such as the U.S. and Ireland, Mr. Shenfeld argues that it wasn’t the falling prices that caused the core problems in these economies but rather the accompanying wave of defaults that devastated their financial systems.